A report released Wednesday by the Chinese Academy of Social Sciences said that poverty alleviation performances of A-share companies in China last year were at a high level due to their investments and efficiency. It also pointed out areas for further improvements, including management and transparency. The report, as a part of Research Report on Poverty Alleviation of Chinese Enterprises, evaluated 1,892 companies listed on the A-share market by CASS' measurements, with reference to poverty alleviation indicators from the government, share markets and related commissions. Corporate actions in poverty alleviation were collected from information they publicly released. Zhong Hongwu, a director for CSR research at CASS, said that the report is the first among its kind. It can be used as a database for future research. Case studies analyzed in the report also offer reference to companies in planning poverty alleviation projects and implementing the plans. According to the report, a total 6.46 billion yuan ($941 million) investment was made for alleviating poverty by 583 companies, which released their investment information to the public, among all that CASS has evaluated. A total of 26 companies continued with their poverty alleviation investments although they faced an annual loss this year. The top three companies with the highest investment in projects aiming to end poverty are China Pacific Insurance (Group) Co Ltd, Yunnan Aluminium Co Ltd, and Huaneng Lancang River Hydropower Inc. Among all A-share companies in various industries, those in the finance sector invested the most in their poverty alleviation actions, followed by manufacturing and power and water. Education is ranked at the bottom on the list. The report evaluated working efficiency based on the number of people companies have helped rise out of poverty. The top 10 listed companies offered financial aid to over 500,000 people recorded as "in poverty" by local governments. Among those, Huaneng Lancang River Hydropower is ranked No 1 due to its efforts in helping 150,917 people out of poverty. Despite their high investment and working efficiency, most listed companies lack a proper management team for their poverty alleviation-related activities. Moreover, only 38.74 percent of A-share companies released reports on poverty alleviation to the public. Only 30.81 percent of them reported investment information in poverty alleviation, and 16.12 percent of them revealed the number of people they have offered financial support to. "Many companies have realized the importance of achieving sustainable development, and an important part of it is to engage in social responsibility. However, their awareness to produce a report falls far behind their actions, as we heard there are a lot of efforts from companies whose poverty alleviation efforts have not yet been reported," Zhong said. 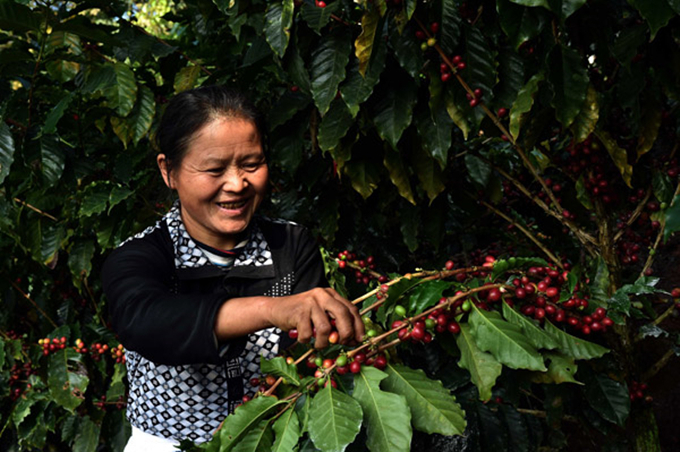 Zhong said this year has seen more innovations in corporations' poverty alleviation efforts, including efforts to promote e-commerce to places that lacked sufficient transportation systems, so that local farmers can sell their products across the country. Similar actions include growing an industry in poverty-stricken areas based on local business potentials, donating to strengthen local education, and increasing employment opportunities. Evergrande Group, for instance, has invested 5.7 billion yuan to grow plantation and grazing businesses in Bijie city in Southwest China's Guizhou province, where the climate is suitable for growing certain vegetables and fruit. The projects have offered job opportunities to about 200,000 local families. "Other than simply giving money, those projects are offering more jobs and education for the sake of those areas' long-term development," Zhong said. During an earlier interview with Xinhua News Agency, the World Bank chief Jim Yong Kim said China is a major contributor to the world's poverty reduction progress, and its experience is very helpful to other middle income countries.